This recipe comes from a cookbook that lives in every kitchen of every woman I know in southeast Louisiana, Pirate’s Pantry. This near and dear book is a collection of recipes from men, women, family and friends all over the region. Bringing a dish to someone’s home and being able to share a recipe with others is part of the Southern tradition. 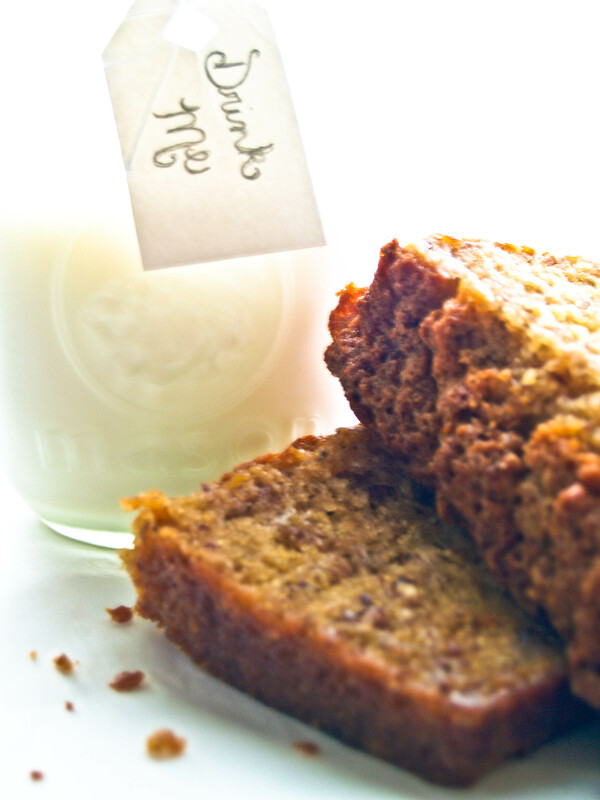 One of the favored, dog-eared recipes in my little treasure chest is the banana nut bread. My grandpa would ask my grandma to make this moist cake to enjoy with coffee whenever we would come over. My grandpa and I share a passion for full-bodied, freshly brewed coffee, and this little cake is the perfect match for a strong cup of joe. I believe my grandpa hid exactly three bananas from my grandma just for this special occasion and magically revealed them to her whenever it was time for him to brew the coffee. Sift flour, baking soda and salt in a small bowl. Combine mashed bananas, lemon juice, pecans and vanilla in a separate bowl. In a mixer, cream sugars and butter in a bowl. Add eggs one at a time, beating well after each addition. Add flour and milk in small amounts, alternating, starting with flour and ending with flour. Add the banana and pecan mixture and stir to combine. Pour the mixture in a greased loaf pan and bake for 1 hour or until a toothpick comes out of the center clean. Cool for at least 15 minutes before inverting onto a cooling rack. Have with coffee! It’s a must! This has been my Favorite recipe for many years! My Pirates pantry cookbook no longer has the spiral binding as it has been around many a years.